Home » Health » Diabesity…Is it a Global Pandemic? Diabesity…Is it a Global Pandemic? Have you ever heard of this term before? Diabesity is a term which refers to the combined diseases of obesity and type 2 diabetes and how one condition is “driven” by the other. What I am implying is that obesity is the driving force in the development of type 2 diabetes and not just in the U.S.—this is the case throughout the entire world today. The Excellence in Diabetes Conference 2014 in Doha recently addressed this worldwide health issue.The diseases of obesity and type 2 diabetes used to be afflictions of westernized nations, but at this point, large sections of the Middle East, India, Europe, and South America are becoming more prone to these diseases. For example, the prevalence of diabetes in the U.S. has steadily risen in the last two decades from approximately three percent to nine percent. Although this number seems rather small, this number represents the percentage of the U.S. population that has been diagnosed with type 2 diabetes at any given time. In England, the prevalence of type 2 diabetes is approximately seven percent, but the situation is far worse in some countries in the Middle East, Mexico, and South America where the prevalence of diabetes is 20-23%! I could not agree more with this assertion. 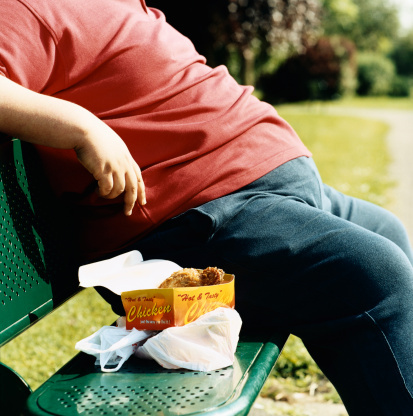 Obesity drives the process of insulin resistance, high insulin levels, and inflammation. As a direct result of this altered physiology, your body accumulates more body fat, especially around and inside the abdominal cavity. This process, of course, also aggravates the insulin resistance even more. Hence, the term mortality can be accurately ascribed to this frequent scenario of cyclic weight gain and high blood sugar. The aim of this conference was to devise a better way to manage, prevent, and circumvent this worldwide pandemic. New research has provided some additional insights regarding more treatment options to people who are diagnosed and the possible role surgery and genetics can play in this process. Looking at ways to better treat, manage, and decrease mortality is fine, but it doesn’t look at the real question, which is how can we prevent this disease from ever occurring? If you consider why people are becoming obese in record numbers worldwide, therein lays the answer. Prevention clearly must be placed upon initiatives to prevent the development of obesity in our children before type 2 diabetes can be diagnosed by the time they reach their second and third decade of life. These prevention strategies are well-publicised and involve almost every layer of our society. Children may not be responsible for their health but the adults around them should be. The people who make the health decisions are also adults and need to practice a much higher level of responsibility if this problem is going to be adequately managed. Individuals who are living their lives also need to become much more responsible for their lifestyle choices as these will directly affect the development of diabesity. Nainggolan, L.,“EiD Meeting to Address Global Pandemic of ‘Diabesity,’” Medscape web site; http://www.medscape.com/viewarticle/820857?nlid=49983_2603&src=wnl_edit_dail&uac=205413HV#1, last accessed March 3, 2014.